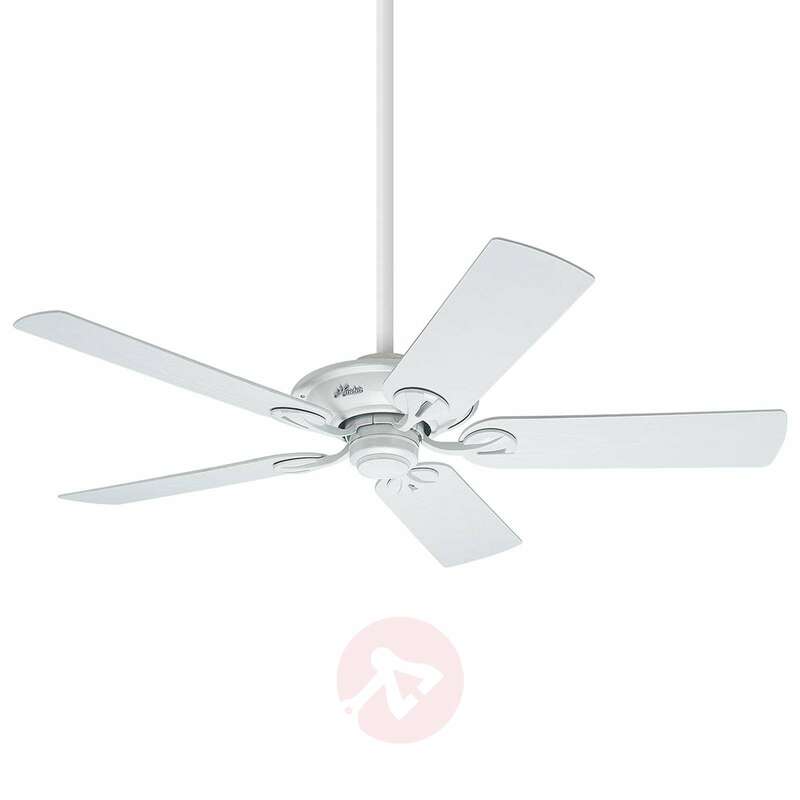 The white ceiling fan Maribel was conceived specifically for outdoor use. The five blades are made from water-resistant plastic, and the casing in a matching colour is weather-resistant and stainless. The motor itself is protected against spray water. 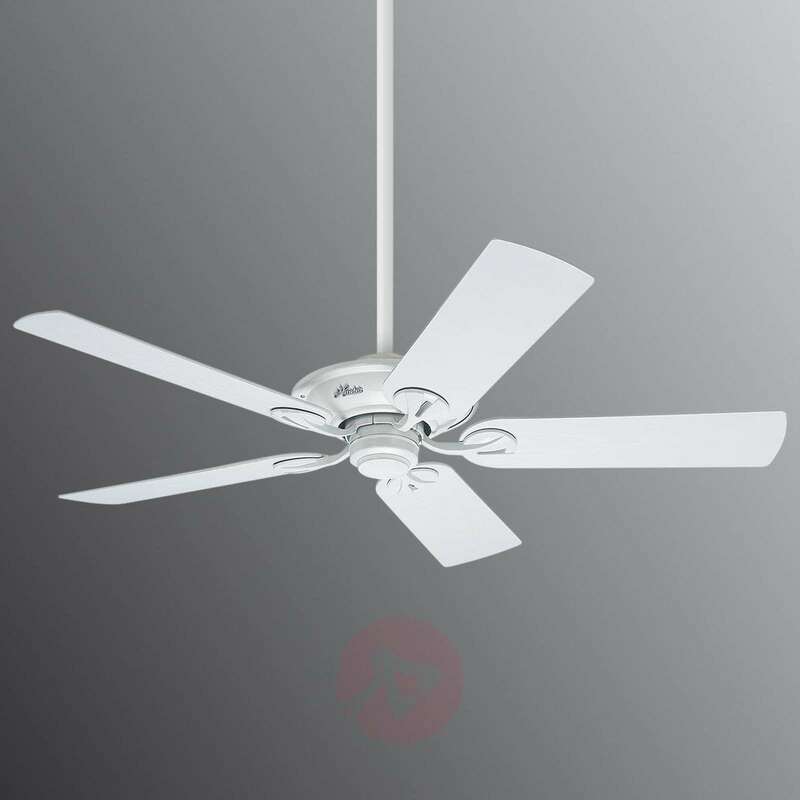 Due to its simple design, the ceiling fan Maribel fits into almost all design and colour concepts. Installation on sloping ceilings is also possible. A pull switch can be used to control the rotational direction. The fan is also controlled by the pull switch. As well as turning it on and off, it is also possible to choose between three different speed levels. An upgrade to a wall switch is possible at any time. This is available as an accessory. It is possible to upgrade the fan with lighting. Suitable lights are available as accessories.